“Medicare for all” has become a litmus test for 2020 Democrats, but the party is struggling to balance the grassroots enthusiasm for the cause with the political challenges of making it a reality. 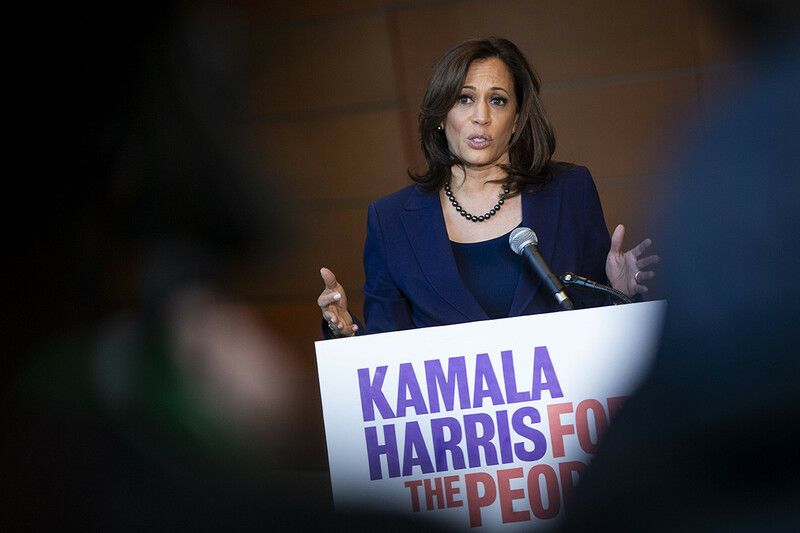 Like many of her fellow 2020 hopefuls, Harris is appealing to both Democratic camps, co-sponsoring both full Medicare for all and variations of Medicare for more, including bills that would create an optional Medicare buy-in nationwide, establish a public option on Obamacare’s exchanges, allow states to open Medicaid to all residents and shore up the existing framework of the Affordable Care Act, which has been undercut in several ways by the Trump administration. It’s a strategy shared by Sens. Cory Booker (D-N.J.) Kirsten Gillibrand (D-N.Y.), Elizabeth Warren (D-Mass.) and Jeff Merkley (D-Ore.), who have all signed on to health care expansion bills. Even Sen. Bernie Sanders (I-Vt), whose 2016 campaign pushed Medicare for all from the fringes to the Democratic mainstream, has endorsed models that would expand public insurance and strengthen Obamacare while keeping the private insurance market in place. Another poll by the Kaiser Family Foundation found that support for Medicare for all swings depending on how it’s presented — which is a problem for Democrats since they don’t all have the same definitions. Nearly 70 percent support the idea after hearing that it would eliminate health insurance premiums and reduce out-of-pocket costs. But approval plummets to below 40 percent when people are told they might have to pay more in taxes and that private health insurance would be eliminated. Sen. Sherrod Brown (D-Ohio), one of the few Democrats exploring a bid for president who has not endorsed Sanders’ bill, has said he prefers to start with a buy-in plan for people 55 and older — a model much likelier to appeal to Republicans, independents and moderate Democrats. He has also proposed a Medicare buy-in just for police and firefighters who retire early. Fear of losing a familiar health plan helped kill President Bill Clinton’s health care initiative in the 1990s and fueled an enormous backlash after President Barack Obama promised during the passage of the Affordable Care Act that people could “keep what they have” only to see many people lose skimpier but cheaper health plans that didn’t meet ACA benefit standards. The 2020 primary could see Democrats forced to unite around a single health care plan, and single-payer advocates in Congress couldn’t be happier with Harris using her platform to stump for the issue. “Kamala Harris doubling down on Medicare for all, both in her speech and in her town hall — that’s enormous momentum for us,” Rep. Pramila Jayapal (D-Wash.), the lead author of the House’s plan, told reporters Tuesday.